Jotron AS has signed a contract with Thales Australia to supply an Air Traffic Management recording system to Australia’s OneSKY programme – the world’s most advanced Air Traffic Management system and the largest civil-military airspace integration project ever. Jotron’s Ricochet recorder has been the preferred recorder and replay system for the world’s air traffic control market for almost 20 years. The recording concept is modular and allows an unlimited number of channels to be recorded simultaneously. Jotron and Thales have worked together on several large projects in the past. The Ricochet recorders supplied to the OneSKY airspace integration program will cover an area of 53 million square kilometers, being 11% of the global airspace. 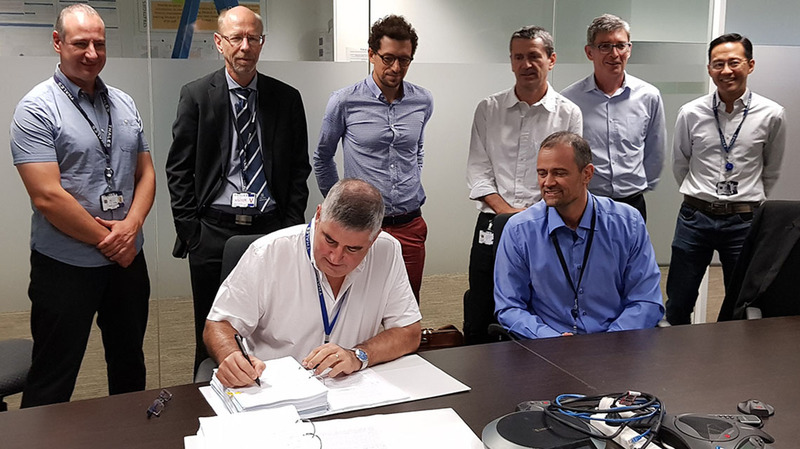 By signing this new contract with Thales, 42% of the southern hemisphere’s airspace will now be recorded by Ricochet from Jotron. The contract includes recording of audio, surveillance data and screens.